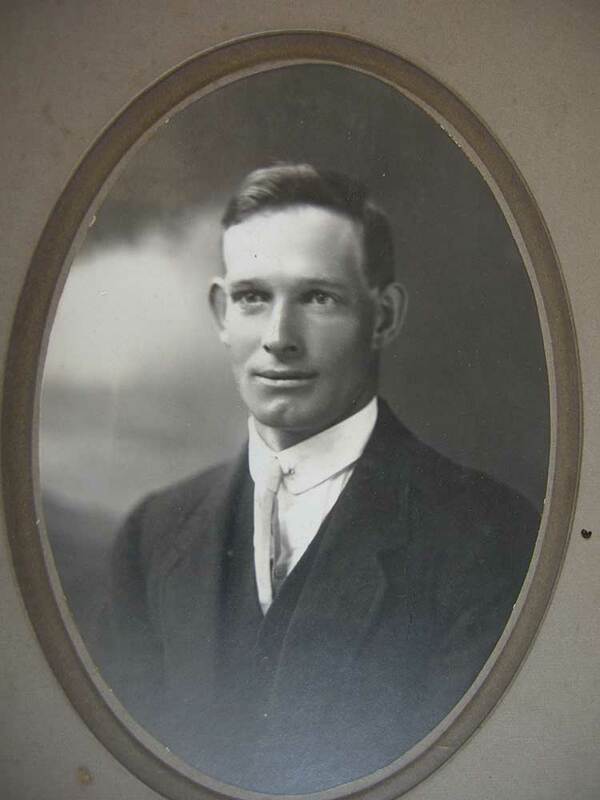 "Robert John Esler was born at Pleasant Point on 6 November 1892, the second son of James and Margaret Esler, and attended Pleasant Point and Sutherlands Schools. After leaving school he worked on farms around Sutherlands and Bluecliffs. He served in the army in France and took the opportunity to visit his relatives in Ireland. In 1920 Rob married Amelia (Millie) Tate. His farm at Sutherlands was on what became known as Esler’s Road. Even after his retirement to Timaru he was closely in touch with farming and the affairs of the district. He was a strong committee man with well thought out views which he expressed forthrightly. His talents were appreciated on the Pleasant Point School Committee and the Levels County Council of which he was vice chairman for a time. For his services to the Returned Servicemen’s Association he was awarded the Gold Star. Strict teetotalism brought him many jibes from his RSA mates but he earned their respect as an upright citizen. Serious when the occasion demanded it, Rob had an Esler sense of humour and enjoyment of a good story. 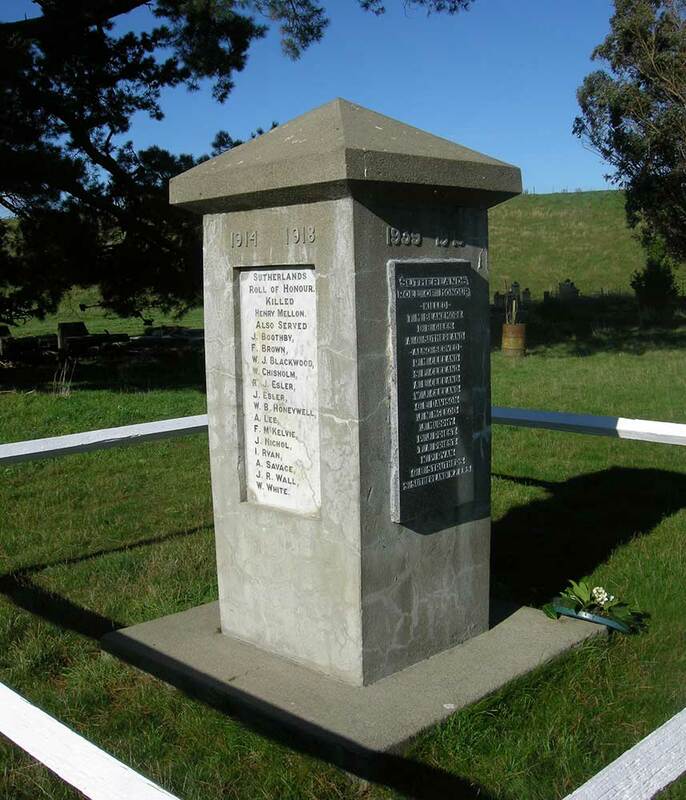 He died in Timaru on 11 October 1961."